BSNL has announced the provision made available for Prepaid users of CDMA, EVDO and WLL to recharge through BSNL Online Portal. 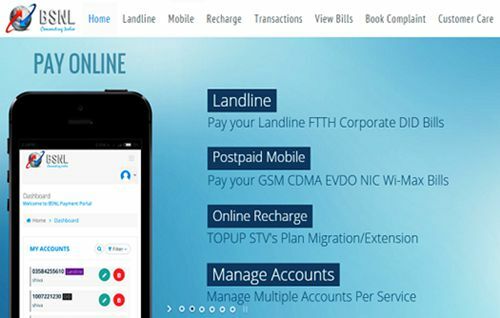 State run Telecom Company Bharat Sanchar Nigam Limited (BSNL) to launch Online Recharge and Topup facility to its Prepaid CDMA customers through its Official payment portal. As per latest information, BSNL is allowing Prepaid mobile plans users to recharge or Topups through its Online payment portal. Now, BSNL extended this service to CDMA services which includes – CDMA mobile services, EVDO Data Card Services and WLL (Wireless in Local Loop – Wireless Landline) services. The company based on customer grievance has decided to facilitate option of recharging CDMA mobile recharges through its Online payment portal along with GSM recharges. BSNL started this service on pilot project basis it is under testing the service will make available to all customers with in few weeks of time. All you have to do is, go to the Idea Cellular website and click on add money.